VASTLY experienced BMW works driver Jorg Muller headlines a strong driving squad announced overnight by German BMW team, Walkenhorst Motorsport. The 47-year-old has been a BMW factory driver for most of his career, one that included winning the GT class of the American LeMans Series in 2001. Muller will be joined in the team’s BMW M6 GT3 by young-guns Ricky Collard and Nico Menzel. British driver Collard is the son of BTCC frontrunner Rob Collard and in recent years has worked his way through the junior open wheel ranks in the UK, including a season in British Formula 3 last year. Menzel won the 2016 Porsche Carrera Cup Asia Championship. “Up to now, I’ve only watched the Bathurst 12 Hour on the live stream,” Muller said. “I think it is one of the great GT3 races. So I’m really looking forward to finally taking part. “I will be racing with the two BMW Motorsport Juniors Ricky and Nico – those boys are super fast. They have done a great job every time we have raced together in the past. Collard is yet to race the M6GT3, while Menzel is familiar to Australian fans via his part in the Porsche Carrera Cup Asia / Australia double header held at Sydney Motorsport Park last August. 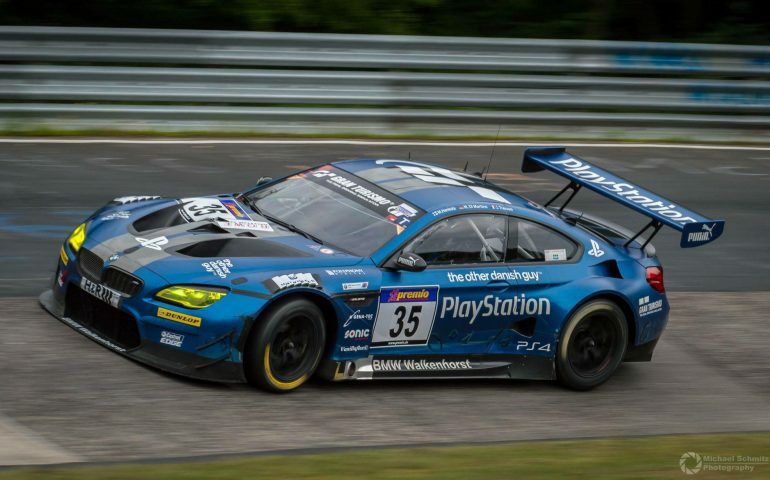 The Walkenhorst BMW joins the pair of BMW team SRM entries and the MARC GT car in a four-strong attack by the German brand in their first outing on the Mountain with the M6 GT3.